Armando Rivero does not have any MLB stats for the season. January 28, 2019 RHP Armando Rivero assigned to Puerto Rico. November 15, 2018 RHP Armando Rivero assigned to Criollos de Caguas. July 19, 2018 RHP Armando Rivero assigned to Piratas de Campeche. November 3, 2017 Gwinnett Braves released RHP Armando Rivero. October 20, 2017 Atlanta Braves sent RHP Armando Rivero outright to Gwinnett Braves. October 20, 2017 RHP Armando Rivero roster status changed by Atlanta Braves. 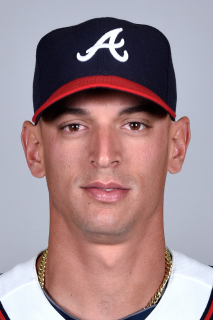 July 17, 2017 Atlanta Braves transferred RHP Armando Rivero from the 10-day disabled list to the 60-day disabled list. Strained right shoulder. April 2, 2017 Atlanta Braves placed RHP Armando Rivero on the 10-day disabled list retroactive to March 30, 2017. Strained right shoulder. December 8, 2016 Atlanta Braves claimed RHP Armando Rivero off waivers from Chicago Cubs. October 4, 2016 RHP Armando Rivero assigned to Tigres de Aragua. January 29, 2016 Chicago Cubs invited non-roster RHP Armando Rivero to spring training. October 28, 2015 RHP Armando Rivero assigned to Tigres de Aragua. September 20, 2015 RHP Armando Rivero assigned to Tigres de Aragua. June 30, 2015 Iowa Cubs activated RHP Armando Rivero from the paternity list. June 23, 2015 Iowa Cubs placed RHP Armando Rivero on the paternity list. February 6, 2015 Chicago Cubs invited non-roster RHP Armando Rivero to spring training. June 20, 2014 RHP Armando Rivero assigned to Iowa Cubs from Tennessee Smokies. January 24, 2014 Chicago Cubs invited non-roster RHP Armando Rivero to spring training. August 14, 2013 RHP Armando Rivero assigned to Tennessee Smokies from Daytona Cubs. August 2, 2013 Armando Rivero assigned to Daytona Cubs from Kane County Cougars. June 20, 2013 Armando Rivero assigned to Kane County Cougars from AZL Cubs. March 17, 2013 Armando Rivero assigned to AZL Cubs. March 5, 2013 Chicago Cubs signed free agent RHP Armando Rivero to a minor league contract.